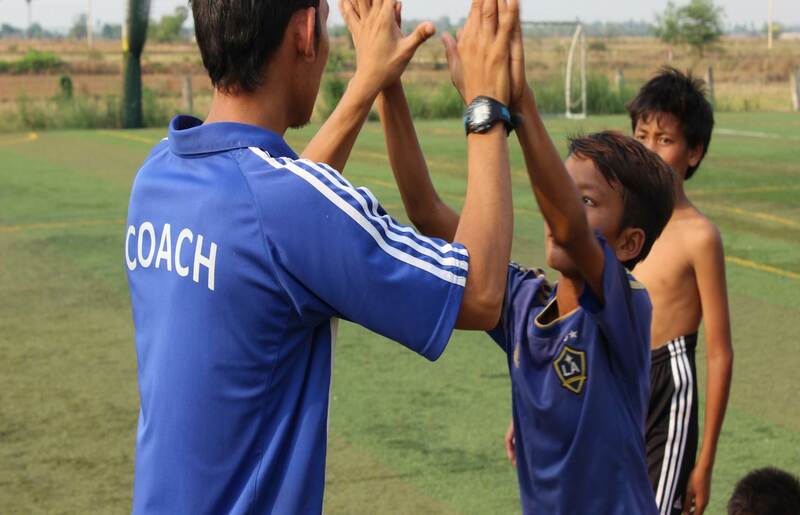 Sports and Leadership Training Academy (SALT) provides education and support through a community-based football programme, reaching children and young adults across Northwest Cambodian provinces. Before each match, the teams join together to attend lessons and workshops from a set curriculum, encompassing a number of different themes such as AIDS prevention and leadership. Since 2006, SALT has been involved in developing young leaders with an emphasis on life skills lessons, vocational training and community engagement. There is also a special focus on empowering girls and women through sport, a particularly important concern in a region listed as a major hub for human trafficking. The Mighty Girls Program started in 2010 and has become larger every year. Today, girls aged 14-20 receive special support in both education and football. Extra English and Computer classes are just a small part of it. SALT's goal of developing leaders is being purchased through making the girls coach in communities around Battambang, attending coaching- and referee courses and frequent lifeskills workshops. Although the SALT Academy Youth League and the Mighty Girls' Program are two separate projects, they are closely linked and complement one another. អារុណសួស្ដី! នេះគឺជាលទ្ធផលក្នុងការប្រកួតកាលពីសប្ដាហ៍ទី 6 កាលពីថ្ងៃទី24 ខែកុម្ភៈ ឆ្នាំ 2019៕ សូមឲ្យមានថ្ងៃដ៏ល្អ!! លទ្ធផលក្នុងការប្រកួតបាល់ទាត់សម្រាប់សប្ដាហ៍ទី5 ដែលត្រូវនឹងថ្ងៃទី17 ខែកុម្ភៈ ឆ្នាំ 2019!